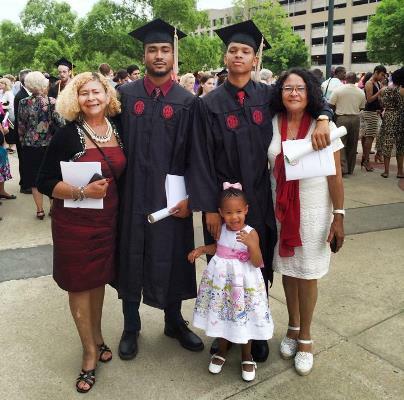 Congratulations Earl Ware Jr. and Louis Hargrove Jr. on receiving degrees from the University of South Carolina. Earl and Louis are former USC Salk Basketball players. Pictured with their moms and little Ms. Niyah.